With Chris Froome’s second TDF win in the books, Team Sky’s ‘marginal gains’ approach has put yet another tally in the team’s win column and Wahoo Fitness has cited how its KICKR smart trainers have played an important role. While maybe slightly less glamorous than Richie Porte’s private motor home at the Giro in Italy, Team Sky’s Head of Athlete Performance, Tim Kerrison has mentioned that Wahoo’s KICKR trainers have been essential in Sky’s all­inclusive, no­stone­left­unturned approach to better rider performance. “We’ve developed a strong methodology around preparing and racing Grand Tours that has helped us create repeatable success. The Wahoo KICKR is a vital part of the program that has led to success in this year’s Tour de France,” he said. 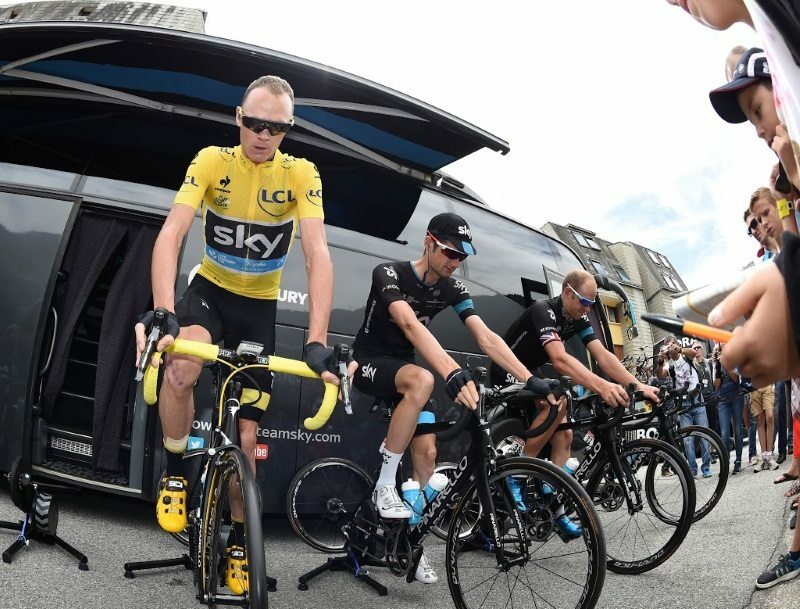 Wahoo Fitness, the performance & monitoring accessories specialist, is the Official Supplier of Turbo Trainers to Team Sky, winners of the 2012, 2013 and 2015 Tour de France. Through the exclusive partnership, Team Sky has been provided with Wahoo KICKRs for use during the racing season and each rider will be provided with an individual KICKR for at home training sessions. Team Sky will use the KICKRs for pre-race warm up and post-race warm downs. Using Bluetooth 4.0 and ANT+ technology, the KICKR Power Trainer connects to smartphones and tablets, allowing full resistance control during a training session. While pedalling, users can increase or decrease resistance, structure interval workouts or even simulate real world bike courses all from their smartphone. Resistance adjustments are instant, making it easy to replicate everything from a flat or rolling hill course, to the coast down a hill after a hard climb. With a wheel off design and super flywheel, the iPhone connected bike trainer is engineered to produce an ultra-realistic road feel, equivalent to the inertia of an actual rider on the road. A direct power measurement at the hub provides consistent and lab accurate power readings for every gruelling mile.